We arrived at the investigation location just before 9:00pm. Investigators present were Sherri, Shereen, Bobbi, Marcy and Lynn. After a second, on site interview with the client we proceeded to set up our equipment. 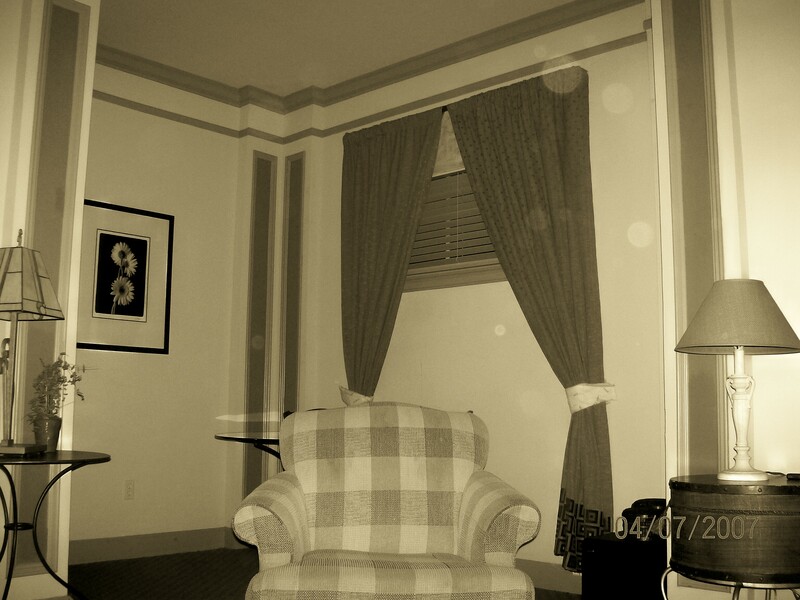 This location had several rooms that were reported as having paranormal activity, feelings of uneasiness, and reports of doors closing on their own. One of the clients also reported having contact with a spirit of a little girl, who was dressed in vintage 1940's type clothing with no obvious head wound but lots of visible blood. This little girl had visited him several times, but it was not apparent to him what she wanted from him. Prior research into this property, revealed reports that this area had been used by the KKK years ago for ritual hangings. We could not find any police records or newpaper articles to confirm this. The group broke up into two teams to conduct the investigation. 1. A coffee pot that is not on any timer, came on by itself. 2. 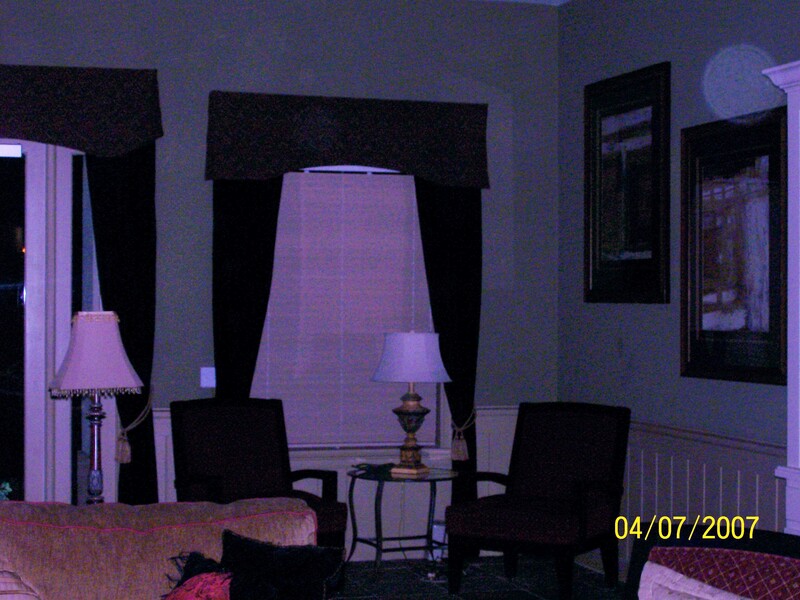 Sherri caught the sight of black shadows several times in the main room, but these were not captured on film. 3. Bobbi heard a whisper in her ear as she was coming down the hallway. 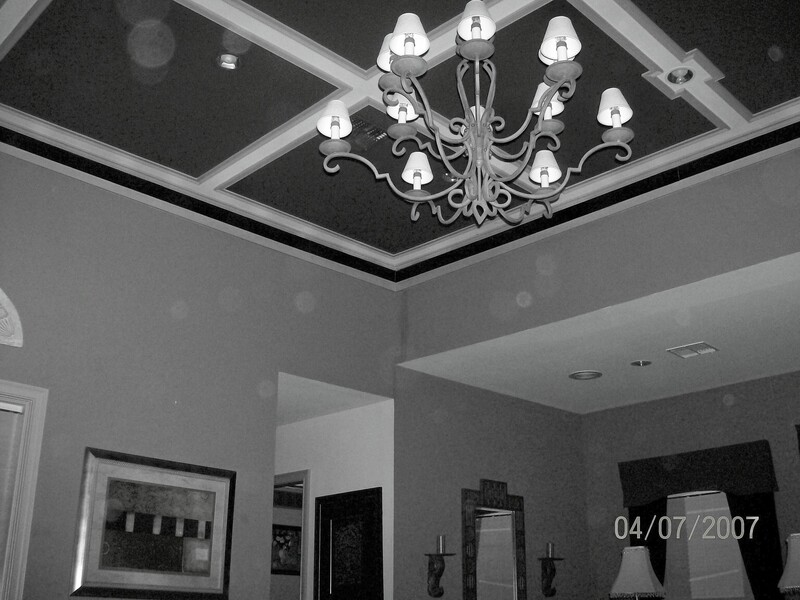 At the close of the investigation, we explained to the client about high EMF readings and the possible physical maifestations, and suggested that they may try removing the air fresheners (the computer room could not be changed) and see if this changed the feelings of apprehnsion they were feeling. At this point the client also disclosed that they had all been suffering from headaches for months now. 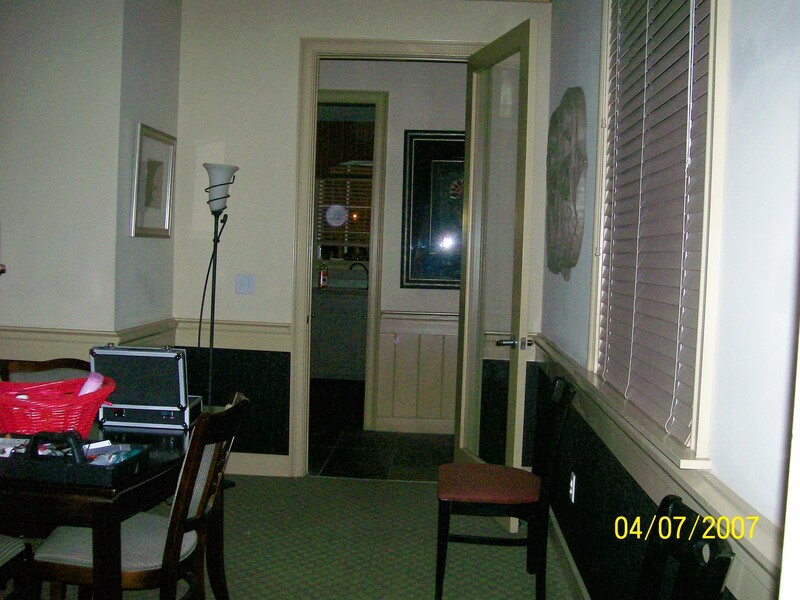 Thorough evaluation of the investigative material revealed a few photos with orbs in them and one EVP. We are currently giving the clients a couple of months with out the air fresheners and will then contact them again to see if anything has changed or if there is a need for further investigation. 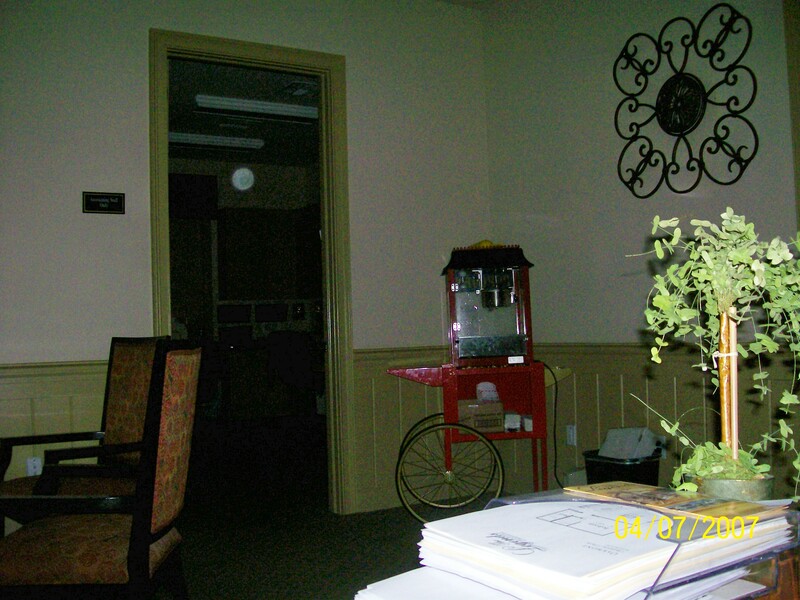 Click on photos to enlarge them to see the orbs. 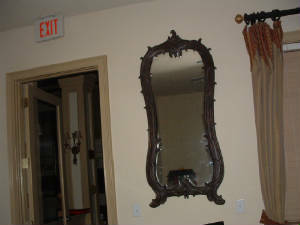 This mirror was reported as giving the clients extreme feelings of unease, they had even taken it down at one point and kept it in a closet facing the wall. We requested that the mirror be replaced for the investigation. The clients were so uncomfortable with it being up that they would not even look into the mirror. 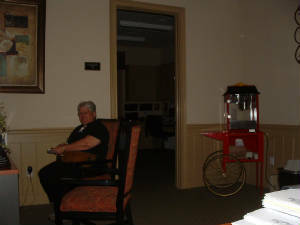 One of our investigators (Lynn) sitting quietly and just experiencing the room.